Movie: "It Happened One Night"
A wealthy heiress runs away when her father wants her recent marriage annulled. While on the road, she meets a reporter who helps her in her quest to get to her husband in New York. Sparks fly in more ways than one. If you want to know what the first movie to sweep the 'Big Five' categories (best picture, best actor, best actress, best director, best screenplay) at the Oscars was, it wasn't a grand historical epic or a socially conscious character study, it was a little ol' romantic comedy that hardly anybody involved with the movie actually wanted to make. "It Happened One Night" is directed by Frank Capra, who is known for directing films like "Mr. Smith Goes to Washington," "Arsenic and Old Lace," and of course, "It's a Wonderful Life." The screenplay is written by Robert Riskin and is based on the short story by Samuel Hopkins Adams. 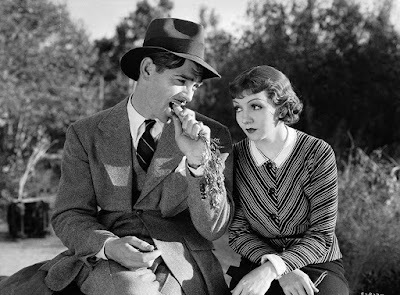 Ellie (Claudette Colbert) is a 21-year-old wealthy heiress who recently eloped with a businessman against her father's (Walter Connolly) wishes. Her father wants her marriage annulled, so Ellie runs away from home, though adults can't technically run away from home in the traditional sense. 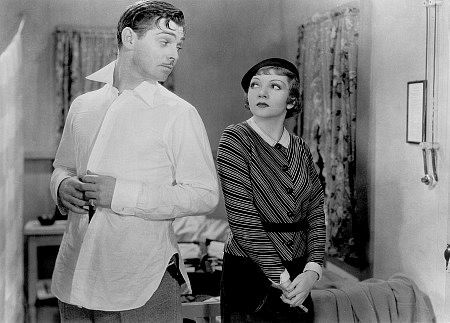 She hops a bus to New York where she meets a blue-collar reporter named Peter (Clark Gable). The two fight at first, but as she gets in a bind due to her lack of street smarts, Robert helps her out when she's in a jam. As the two spend more and more time together, they eventually start to find common ground and begin to fall for each other. One could argue that "It Happened One Night" created the formula that has been followed by every romantic comedy made in the last 85 years. It uses the now-typical "boy meets girl" formula. One of the two main characters is in a relationship, the two main characters hate each other at first, then they're reluctantly forced to spend time together, and by the end, they fall in love. C'est la vie. This formula is used constantly with a wide range of success. Rom-coms seemed especially plentiful last year as surprisingly decent movies like Netflix's "Set it Up" used this formula, and the downright terrible "Christmas Inheritance" also used it. Yes, we just compared the first Oscar 'Grand Slam' winner to a cheesy Netflix holiday romance. Can you blame us? 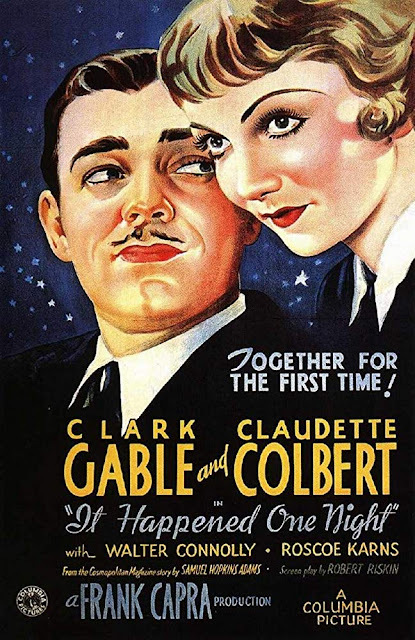 Every single month, we are inundated with films just like "It Happened One Night"...well, they only wish they could be as successful as this charming, cheeky romance. 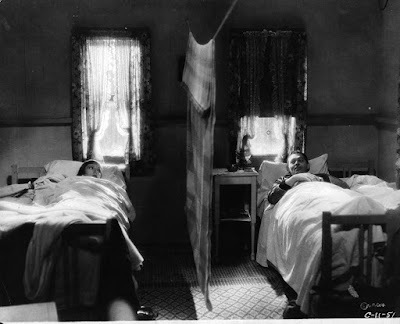 The reason "It Happened One Night" is so successful is because of its acting. Clark Gable and Claudette Colbert, who oddly enough called this 'the worst movie she ever made,' both offer excellent, jaunty performances that help elevate what is a pretty straightforward narrative. Eight decades later, this film might wind up feeling like any other run-of-the-mill rom-com, but at the time, it was original. Unfortunately, we can't judge it like we were watching it for the first time in 1934 because our parents weren't even alive then. BigJ and I have slightly varying feelings about this. Whereas he thinks it is unremarkable and thinks its themes and humor are very much of its era, I absolutely adore this sweet, quirky, snappy film that, yes, is dated and a bit easy, but thrives because its leads and the chemistry they have with one another.